You want to start being more healthy, you need to lose weight or would just like to have more energy, so you start a diet right? You cut out all the fast food, the alcohol, and more importantly you cut out the chocolate. And within a week you're sick of the new diet and are wondering why on earth you started. Sound familiar? This is totally me. 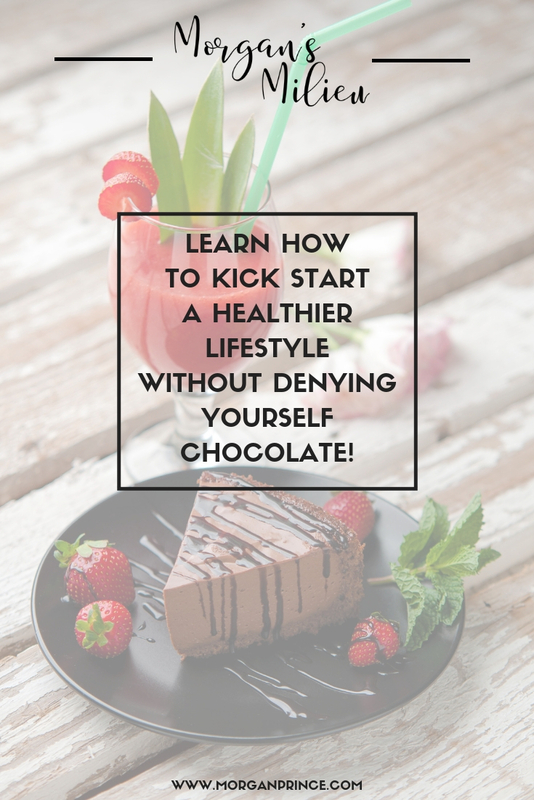 I can't stand the beginning of a 'diet' or healthy lifestyle but just lately I've been thinking I need to be healthy again and that's why I've been learning, or testing, how to kick start a healthy lifestyle without denying myself chocolate. As far as the TV is concerned you should never consume chocolate or fast food and if you do drink alcohol it should "be in moderation". I say pah-hah to that! A "healthy" lifestyle is one where you don't need to deny yourself the occasional fast food or bar of chocolate because you know it won't make much difference to your overall health. It is not about denying yourself things, it's about maintaining a balance. Balance is hard for everyone, but if you do manage to find it, it's wonderful. 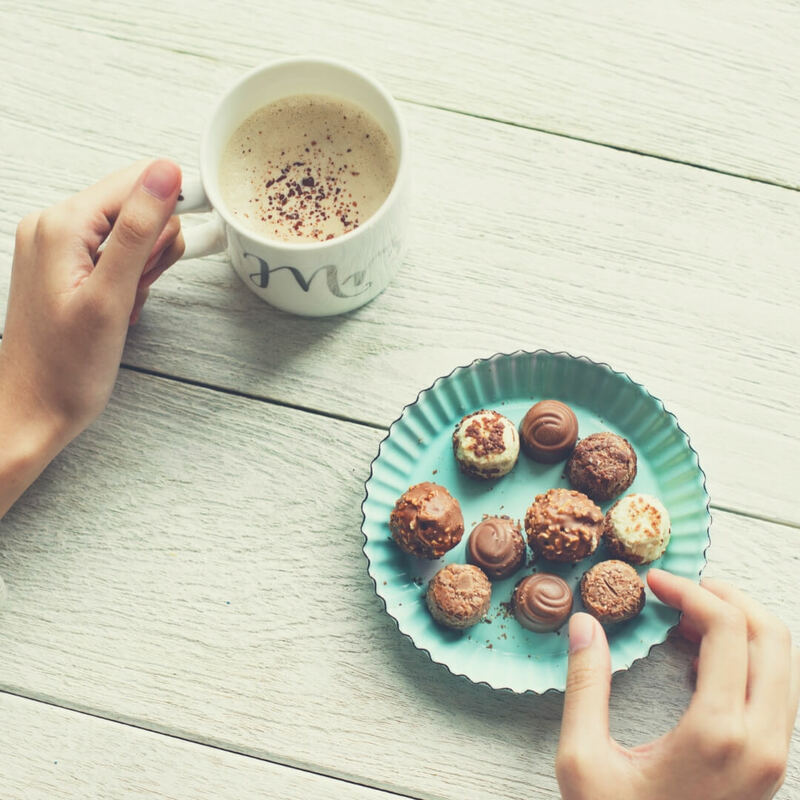 You get to be healthy while still enjoying your favourite things - and that's worth a little bit of effort right? Denying myself chocolate is a non-starter. Let's face it, most of us women can't do without it - especially at a particular time in the month. The other day I scoffed a Double Decker and a Crunchie after my lunch, and it was so good. Sometimes a chocolate bar is the only thing that will solve things - am I right? I admit that I'm certainly not living a healthy lifestyle at the moment but I'm working on it. I need the chocolate, but I don't need it all the time. And that's the key. Don't you hate that moment you realise you need to either lose weight or be more healthy? I do, I never look forward to the months of restrictions and denying myself everything I enjoy. But I wonder if you don't need to do it all at once, if you're willing to admit it's not going to happen overnight. 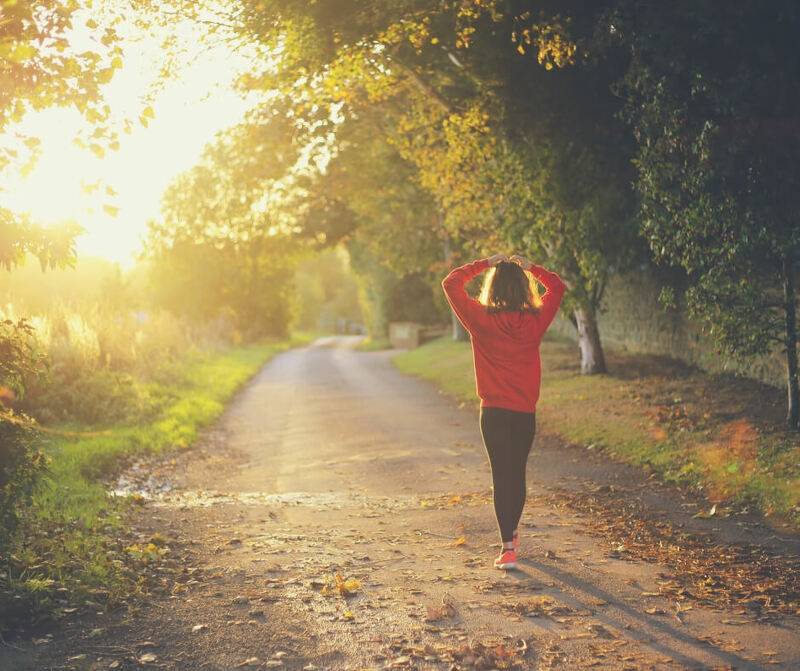 Start slowly and you'll be able to ease yourself into a healthier life. For a few weeks I've been meaning to get up early and do exercise, I've wanted to start doing my running again but I just can't make myself get out of bed to do the exercise. I wonder if I've been expecting too much from myself and so I've changed tactics. For the last few days I've have got up early, but with no pressure to do the exercise. I decided the pressure wasn't helping, and as long as I do the exercise at least twice per week then I'm winning. Two 30 minute sessions on either the elliptical or treadmill per week is a good start. I've gained lots of weight during the summer (that's Disney World for you!) and I know I need to put effort in to shift it, but I also know it doesn't need to happen overnight. I've done it before and I can do it again. A large part of kick starting a healthier lifestyle is choosing the right exercise for you. You need to choose something you enjoy. Now I know that for some the idea of exercise is not appealing, not even a little bit, but if you find the thing I promise you you'll start to look forward to the exercise. A long time ago I hated exercise, I didn't like walking, I couldn't run, and any idea of going out on a bike ride had me in stitches. But then something happened - I started going out for a walk with a friend. We walked a little more than 2 miles every day after dropping the kids off at school and got to have a chat while we walked. It was a great introduction to exercise and meant that I actually enjoyed it. After a while my friend got a job but by then I enjoyed the walking so much I continued with it on my own. I progressed to running and couldn't believe I was doing it. A girl that once used to try to skip P.E. in school was now choosing to do exercise while the kids were at school - quite a change. And that's why I say find the right exercise for you. There will be something that you enjoy and you just need to work out what it is. Try walking in a morning - maybe try what I did - or go for a swim while the kids are at school. Yoga classes are good too, I used to love yoga classes. There are all kinds of diets - Atkins, gluten-free... I mean really, I've forgotten all the names but there are hundreds. Here's the thing with those diets - what happens when you start eating the things you'd cut out? You gain the weight right back don't you? I'm not basing this on any factual evidence but my theory is that all those things you've been cutting out are the things your body craves. So when you start eating again it thinks "great - let's hang on to this because we don't know when we'll get it again!" and that can't be good right? At the moment I'm not denying myself anything, just cutting down. I adjust my favourite recipes so that I don't have quite as much, I swap an unhealthy option for a healthier one, like swapping beef mince for turkey mince. 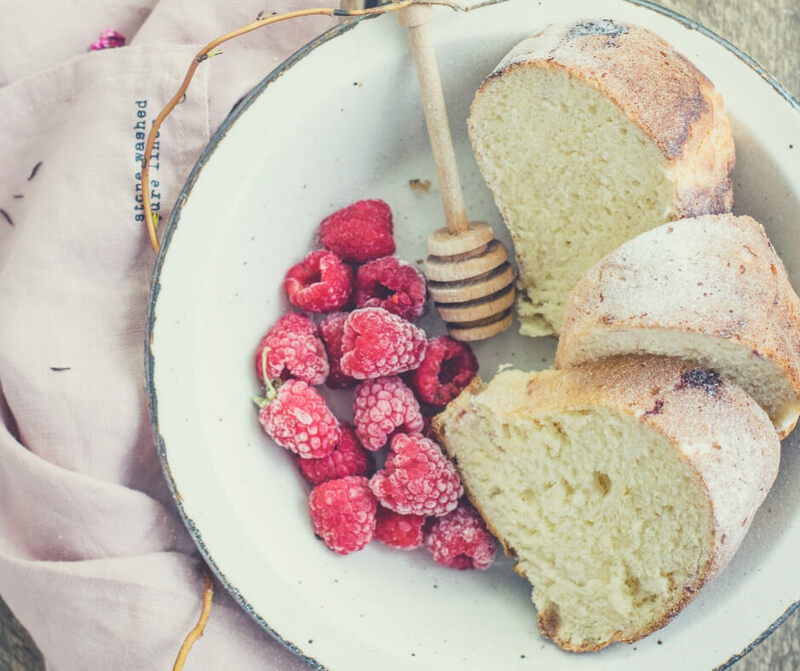 It's easy to make small changes to your diet without denying yourself the things you enjoy. This is the best part - be sure to reward yourself when you achieve. Whether it's your first walk around the block or you went to a new yoga class make sure you have a reward. My rewards tend to be small things, a chocolate bar after dinner once I've completed a run, or a bag of crisps for spending 30 minutes on the elliptical. Don't get me wrong - I don't eat these things straight after the exercise, I save them for later in the day, but I know the reward is coming and it helps with the motivation to actually do the exercise. I have other rewards too, like a weight targeted one where I say when I've lost a certain amount of weight, or reached my target, I'll go shopping. I used to love shopping and it's been a long time since I last went, so telling myself I can do it once I hit a target makes me want to get there. For you the target could be something as simple as a fancy coffee but be sure it's something you really like. That way you'll be pleased with yourself when you do the thing that will give you the reward. 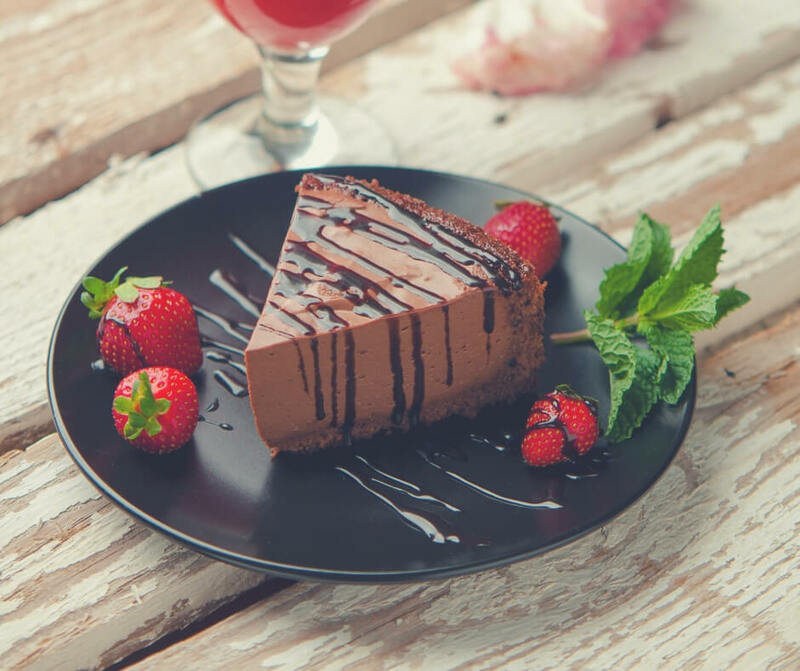 To kick start a healthier lifestyle you just need to make different choices, but not necessarily denying yourself chocolate. What healthier choices do you make? If you enjoyed this post you'll like Getting weight loss back on track or if you're looking for some meals you could cook check out Chicken stir fry with black bean sauce. I'd love to hear how you're kick starting your healthy lifestyle, head over to Facebook or Twitter and tell me your favourite healthy dinner choice. Stay up to date with what I'm up to behind the scenes and hear my top advice for sticking to your healthy lifestyle here. This is a great reminder - I think small steps is all you need. I like your way of thinking! I go by the rule of everything as moderation! I love that you show that you can live healthy without denying yourself things. I have not been able to have chocolate in over 2 years because it triggers my chronic migraines and it has been so hard. Because of this, I am not interested in denying myself anything else! Thanks for sharing. I am scheduling for Pinterest and featuring on Twitter tomorrow.